you can use the iterator called "iterate feature selection" with your field TOOTJA_ID as input. Right-clic in the window of your model, then select iterator in the contextual menu. You can also export your model to python and loop on the unique values of your field, but this is a bit more complicated. How to batch a model created with “model builder” in arcmap 10? Calculating Service Area for each feature in feature class using ArcGIS Network Analyst? 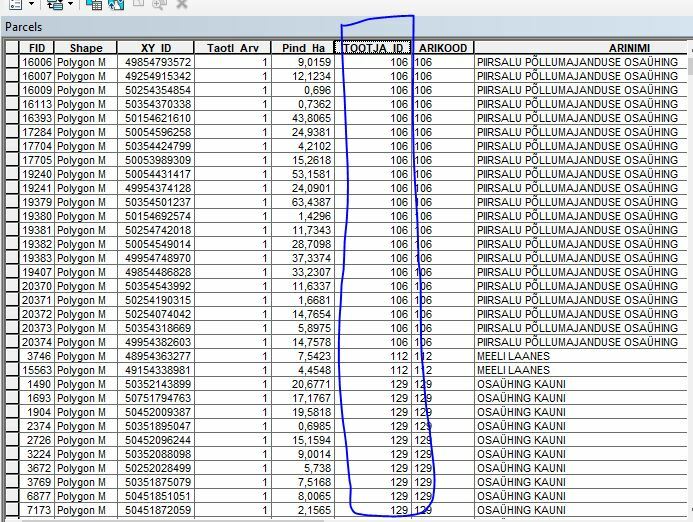 Outputing shape_Area value from polygon feature to output table in ModelBuilder? Keeping output from ModelBuilder in projected coordinate system of input?